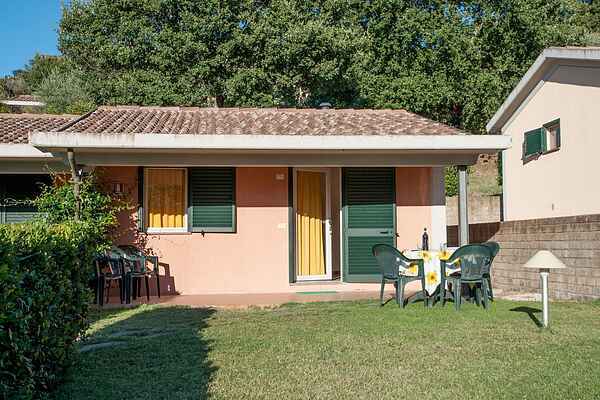 Oasi Maremma Village's accommodations are surrounded by beautiful greenery. The differences in elevation in the park allow you to overlook the gorgeous Tuscan landscape. The available homes are of different sizes, all of which attached and one-story. The options include 2-person (IT-58020-15), 4-person (IT-58020-16) and 6-person (IT-58020-17) types. Each type features basic amenities as well as a private terrace with garden furniture. On hot summer days, the airconditioning will make a welcome addition.